A flavoursome whisky aged in Sherry casks, showing remarkable smoothness and balance. This Single Malt, produced by one of the last family-owned distilleries of Scotland, is a version aged in Sherry casks, showing mellowness and balance. This expression is a perfect introduction to the distillery's style. The full-bodied nose reveals a deep freshness, a perfect translation of Glenfarclas that means "the valley of the green grass", evocative of the dew-covered meadows in spring. It is a tasteful, easy-going, high-ranked whisky, rewarded in 2009 with a Double Gold Medal at the San Francisco World Spirits Competition. 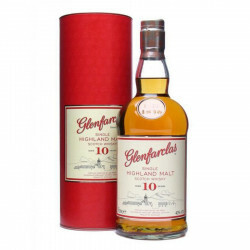 Glenfarclas 10 years is an astonishing combination of round creaminess, malty biscuits, with flowery notes and peat flavours. Nose: fresh and wonderfully light, sherried fruits mingle with sweet and spicy notes of oak. 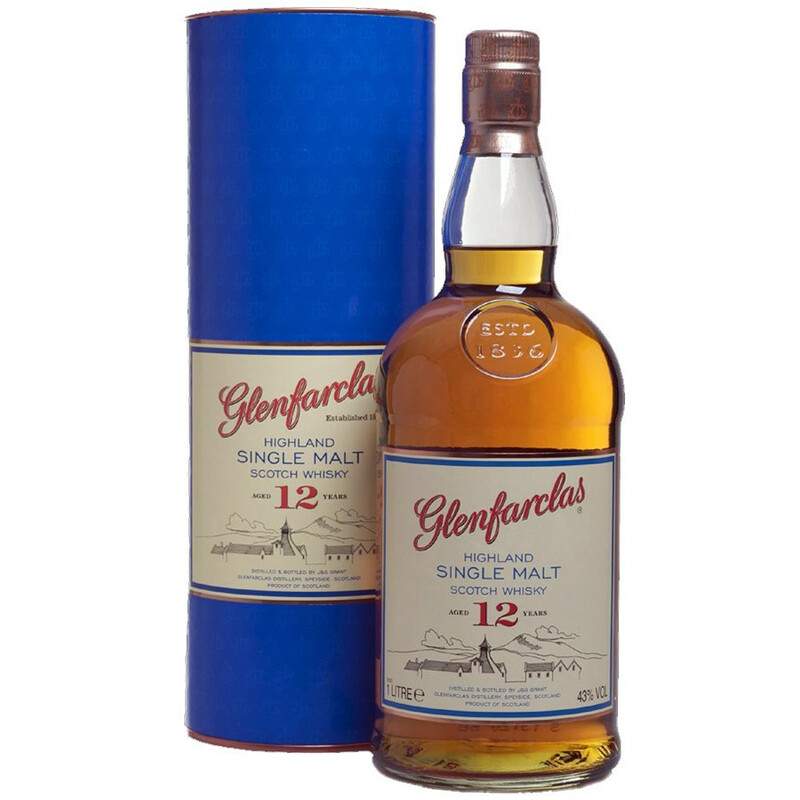 Palate: stronger and drier, with candied fruits, oak and a hint of peat. Liquorice aromas, Sherry and spices also develop in the mouth. Finish: long with flavours of liquorice and toasted grains.